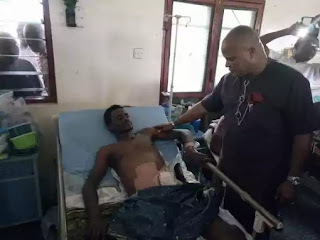 A chieftain of the All Progressives Congress (APC), Senator Ifeanyi Ararume, has promised to pay hospital bills of all five persons who sustained bullet wounds during the demolition of Eke Ukwu market in Owerri by the Imo State government. The Senator also promised a full scholarship up to university level to the sister of the boy that was shot dead. 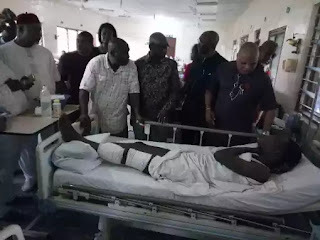 Ararume made the pledge during his visit to the Federal Medical Centre Owerri, where the victims affected by Imo market demolition are being treated. While speaking to newsmen, Ararume said he was moved to tears over the plight of the victims, adding that three of them have been moved from the intensive care unit to a ward where they are still being cared for. He however applauded doctors and nurses at the hospital for putting their best in taking care of the patients even without any assurance of the payment of their bills prior to his visit. A statement from his media office said: “Ararume urged the doctors and nurses to do all that they can to ensure that the victims get the best of medical care. “He also promised to take any of them who need treatment overseas to any country where such care is available. 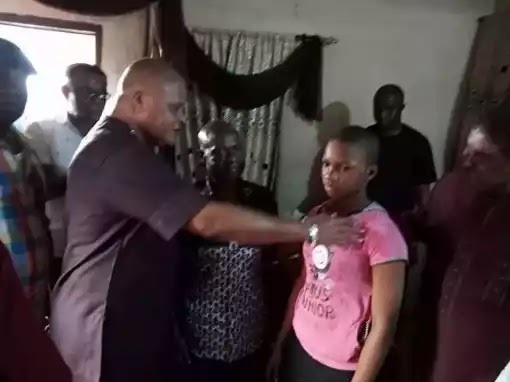 “On his visit to the family of slain boy, the former gubernatorial candidate condoled with the family and promised justice for the 10-year-old. According to the statement, the Ararume Destiny Foundation will take over the burden of her education up to university. The girl is presently still in secondary school. The senator also pledged to support traders who lost their shops by providing 1000 shops to enable them relocate and resettle. “The traders needed to urgently resettle and return to business after the disruptions. Leaving them without shops would negatively affect their lives and those of their families. “The traders are advised to remain calm and avoid being used to disrupt the peace in the state”, the statement added.